Leoe & Hyde, the pioneering contemporary music theatre company renowned for mixing dramatic innovation with pop-cultural subversion, will tour their most ambitious project yet this summer; a fearlessly caustic satire fusing the most vaunted production in the history of classical opera with one of pop culture’s most explosively tragicomic unions: The Marriage of Kim K.
What do Mozart and Kim Kardashian have in common? Well, Kim’s 2011 marriage to NBA star Kris Humphries began with a televised fairytale wedding and ended just 72 days later when a mysterious divorce was filed. This epic failure of love is just one of three collapsing marriages at the centre of this brisk, hilarious and vaultingly ambitious rewrite of Mozart’s Marriage of Figaro. Three squabbling couples. Three styles of music. One big problem: how to love in a world of bitter differences? This bitingly satirical work is a romp through Mozart’s masterpiece combining pop, electronic and classical music into a musical for every audience from discerning opera-goers to reality TV-devotees, and carrying with it a heartfelt reminder of the power of love in a time of division. 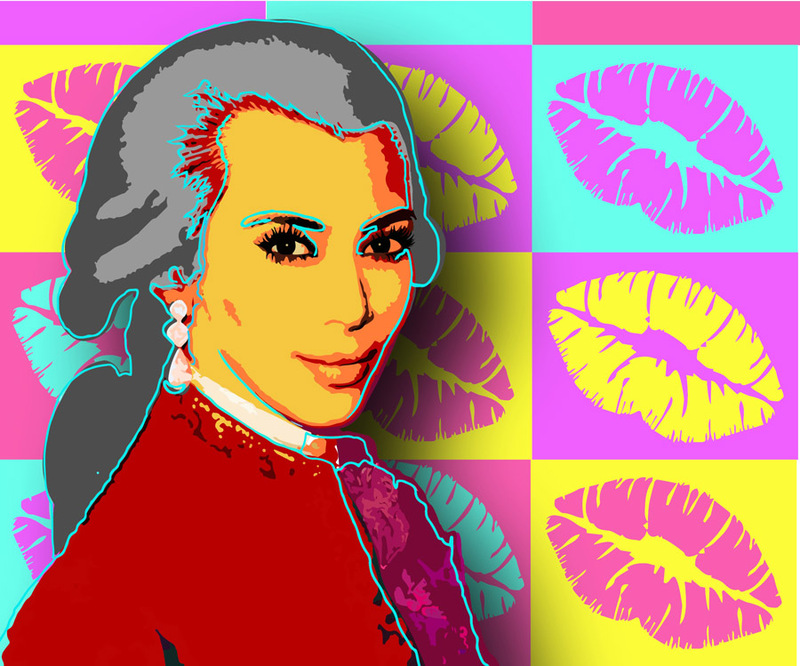 Featuring music from genre-transcending string quartet Echo Chamber, The Marriage of Kim K pays full reverence to the brilliance of Mozart’s canon, while adding a contemporary twist in the rebellious, subversive spirit of the great man himself. The show is produced by up-coming music theatre company, Leoe & Hyde – who seek to create and perform music theatre which is strictly contemporary, integrating dramatic and technical innovation within both established and experimental narrative forms. Leo Mercer and Stephen Hyde met at Oxford University. After working independently on a number of innovative theatrical productions they joined forces and found that they shared an ambition to create theatre that meshes contemporary music with dramatic art. Alex Newton joined as designer for the original student production of The Marriage of Kim K. He loved it so much he ended up co-founding Leoe & Hyde and is producing the upcoming tour. 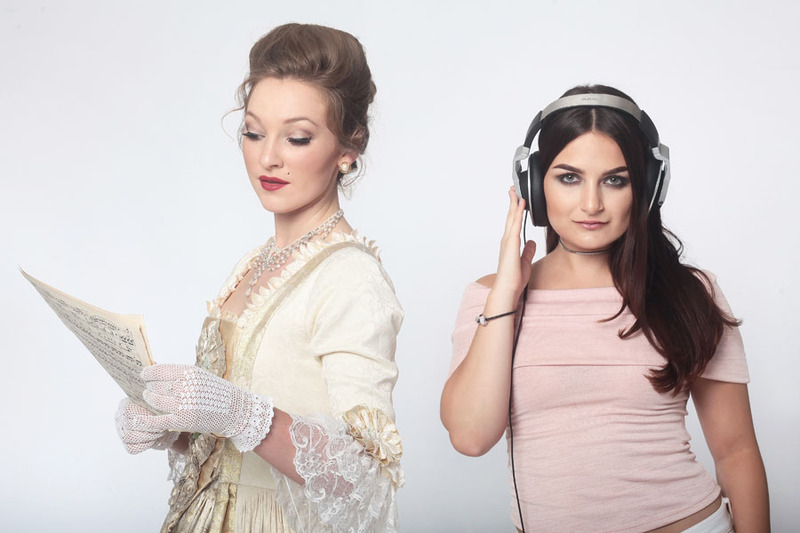 Leoe & Hyde are a young music/theatre company specialising in innovative, entertaining and genre-bending productions of music theatre and opera. Set up by Leoe Mercer and Stephen Hyde. Their productions integrate technological and dramatic innovation with compelling contemporary stories and a wide range of musical styles. Past productions include a resurrection of Purcell’s Prophetess set in contemporary London, a technologically immersive production of King Lear, and ONLIFE, a one-man show exploring post-internet life. This year’s calendar includes new productions of the post-genre mashup The Marriage of Kim K, the immersive indie-electronic musical Queueue: A Coffee Shop Musical, Hyde and Hale’s Love in London and a new opera about Elon Musk/Tesla with Marco Galvani.